Mozilla in order to beat its own browser offer an alternate of Safari. It’s not an upgraded version of its “Mozilla Fire flox” but it’s an enhanced version which allows fun browsing from tablet. Actually it re-imagines complete browser experience. Browsing software “Junior” aimed to create tablet browser having a desktop like feel & make you to take advantage Retina Display. “We wanted to make something entirely new. 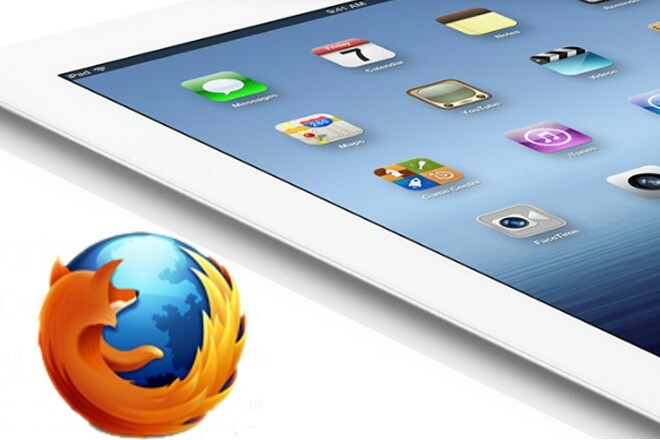 We wanted to look into how we could reinvent the browser for a new form factor,” said Limi. It’s planned on gesture based inputs that provides you magazine like feel. Two key operations back & “plus” button placed at thumb reach for easy browsing. For other functions like print, forward & reload are incorporated in these. The six functioning of these 2 will be revealed later. Back: Back is used to shift to the previous page. Plus: Bring you to recent site, favourite in one place. Links are arranged as branded icons. Junior allows secure browsing by separate user accounts. You can login & enjoy separate browsing. There is also security of your FaceBook & twitter accounts. There are also various browsers in Ios that are third party browsers like Opera Mini, Atomic, & Dolphin that have their own usage. There are also other browser for ipad see. Mozilla is 2nd in browser usage after Internet Explorer. Let’s see what boom will Junior bring to Mozilla Browser usage!! 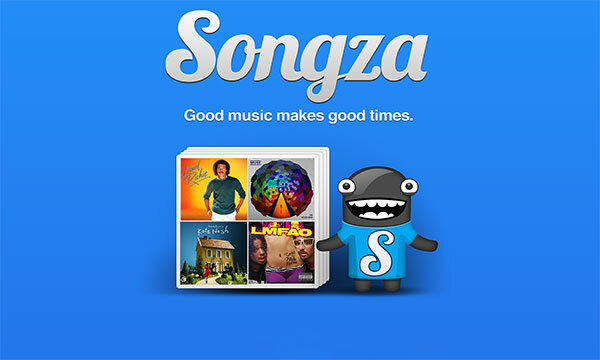 Songza a music streaming app already available with iPhone, Android & other web apps is launched with iPad & you can’t believe with in 10 days it have been downloaded 1.15 million times!!!! “In many ways Songza’s simplicity and focus on mobile life, reminds us of what drove Instagram’s success, as consumer web activity shifts far faster than expected from computers to mobile devices,”Greenfield said in his report. The app provides you the perfect play list for different types of users which encompass 18 million songs. It offers 100,000 play lists that are curated by experts. Its best feature include “Concierge” that take information like your choices for day or night or activities in which you are involved & give you the list of activities for that moment. After selecting a situation it provide three playlists curated by team & musicians. For example if it’s a weak day & you are at work it suggest you songs so you don’t fall asleep. “We change the situations, filters and playlists based on things we start to learn about you” said co-founder Peter Asbill. 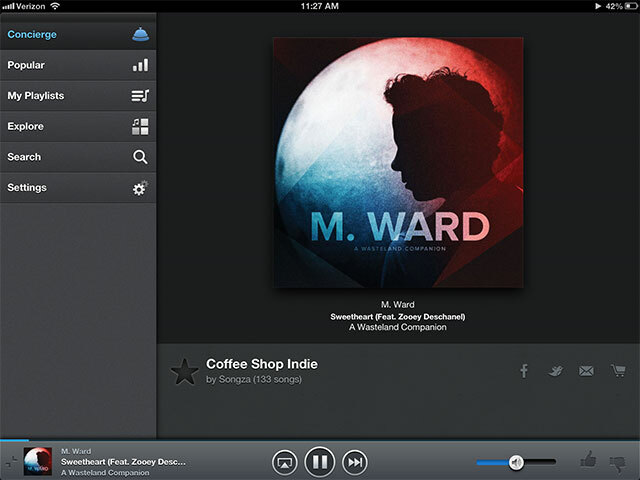 There is also an explore option that allows to search a song according to your mood, genre. This app is available in app store for free in US only. Its also available for Android but without a concierge option.